My first Xanthos started to bloom today. A new cosmos variety I have tried for the first time and I think it just became a longtime acquaintance. Yellow is a totally new color to me when it comes to cosmos. This year seems to be dedicated to annuals. I lost so many perennials last winter and had to quickly replace the empty spaces with something. Luckily had tons of cosmos seeds available to hide the damages. The nights have been cold and the temperature has gone below the freezing point several times. Nearly all the flowers are gone and nature is displaying autumn colors. The trees are starting to be bare from leaves and the lake has gotten a thin layer of ice on it in the mornings. Usually it is gray and rainy but not this year. It has been a beautiful autumn here in the north. Clear and sunny days. Simply perfect weather for the season. To my surprise my Sonata Carmines are still alive and blooming in the balcony. I did not expect this to happen but I must admit that I am delighted. 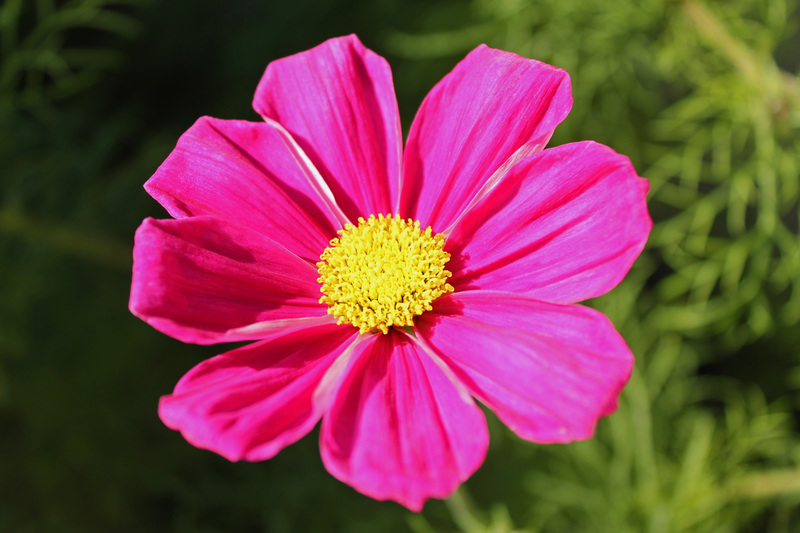 I am growing fonder of cosmos every year. I guess I need to start looking for new varieties. PS. The summers up here in the north are a bit too short for the Sonata variety of cosmos.